Camels store fats in their hump which is use as energy supply. Seals store fats (blubber) to stay warm in water and as energy source. I guess it is normal to have a little bit of belly fat. 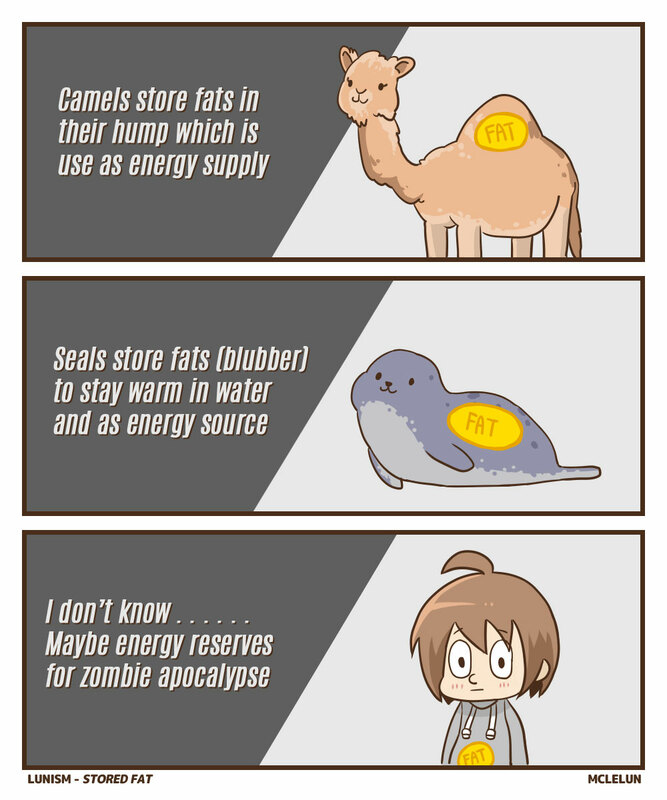 Maybe as energy reserves for zombie apocalypse.